In my fitness journey, I’ve managed to lose a total of 45lb. During this process, my wedding band no longer fit. So I took my ring to the jeweler and I had three options. One, I could get it resized (too expensive). Two, I could get these little sizer dots basically welded to the inside of my ring (too expensive). Or three, I could get a clip that attached to the ring that made it smaller on my finger (cheap). So being the cheapskate I was, I opted for number three. Over the course of many obstacle races, many crossfit sessions, many outside yardwork projects, I got tired of the constant snagging and blood blisters. Enter QALO rings. 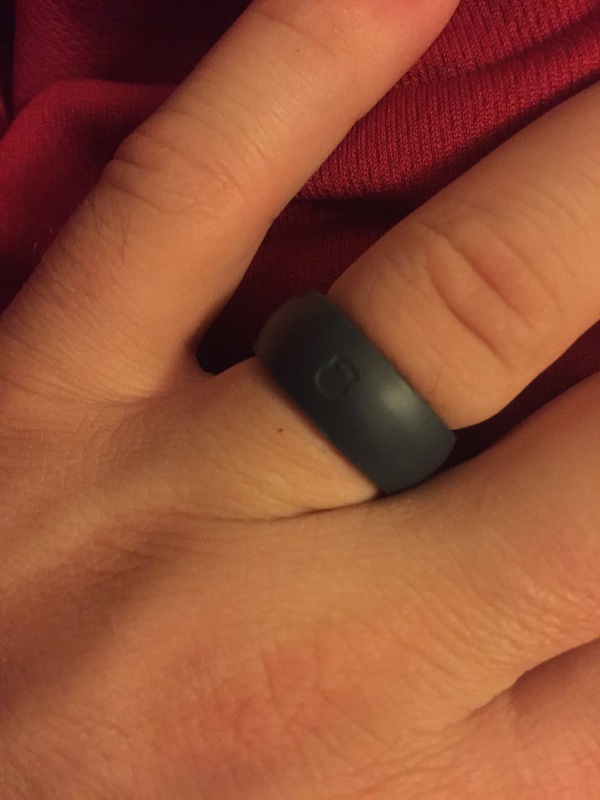 I was introduced to QALO rings through some crossfit friends. It is a 100% silicone ring that is stretchy and light. I don’t even feel like I’m wearing it. The best part? No snagging or blood blisters! QALO did this right. They are very inexpensive too!!!! Check them out! You won’t be disappointed!!!! ← How do I find time?